The Business Income Tax Filers can extension the deadline beyond March 15 by reporting Business Income Tax Extension Form 7004 by March 15th for certain business types. Even though you are filing an application for an extension, you must pay any taxes due by the regular tax return due date, depending on your business type. 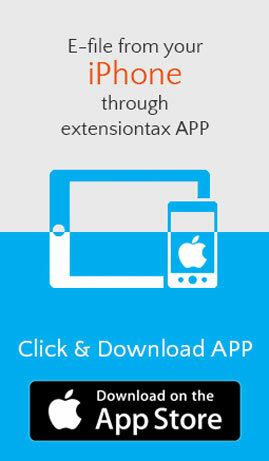 There is only one extension allowed per tax year. You can’t keep getting multiple extensions. This entry was posted in Extension Tax, file extension online, Form 7004, IRS Extension, IRS Updates, Tax Extension and tagged business income tax extension, Business Income Taxes, can i file form 7004 late, corporate extension forms, efile 7004 business extension, Extension Form 7004, extension of time for business income tax, extension tax form 7004, extension tax form 7004 instructions, Form 7004, form 7004 2018, form 7004 due date 2018, form 7004 extension due date, form 7004 instr, form 7004 instructions, tax 7004 due date 2018, tax 7004 extension due date, tax 7004 instructions on March 8, 2019 by TaxExpert. Time to start working with your Business Income Tax Extensions that is getting due this March 15. Tax time and you mush be getting your papers consolidated to report them with the IRS. In case if you’re not ready and need extra time to work with your tax returns, you could report an extension request to push your actual deadlines. Electronically report an Tax Extension Form 7004 with the IRS to push your deadlines from March 15 to September 15 and for certain businesses it is due on April 15 and push that to October 15. Sole proprietorship and single-member LLC tax returns on Schedule C (with the owner’s personal tax return): April 15, 2019. This entry was posted in Efile 7004, Efile an Extension tax, Extension Tax, Form 7004, IRS Extension, Tax Extension and tagged business income tax extension, Business Income Taxes, can i file form 7004 late, corporate extension forms, Extension Form 7004, extension of time for business income tax, extension tax form 7004, extension tax form 7004 instructions, Form 7004, form 7004 2018, form 7004 due date 2018, form 7004 extension due date, form 7004 instr, form 7004 instructions, tax 7004 due date 2018, tax 7004 extension due date, tax 7004 instr on March 5, 2019 by TaxExpert. It’s high time for all businesses to file for an extension before the deadline to stay away from the last moment stress in relocating the tax documents. By applying for an extension, you can take your own time and relax yourself in preparing the tax report related to your business income during the year. Despite of the pain and gain experienced by business owners, tax should be filed and paid on time. 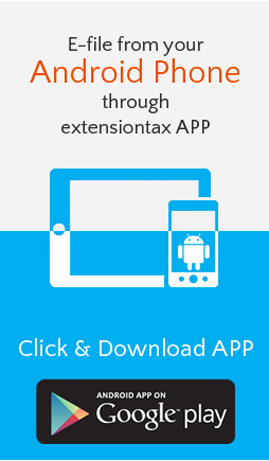 You are left only with seven days to file for an automatic Extension. 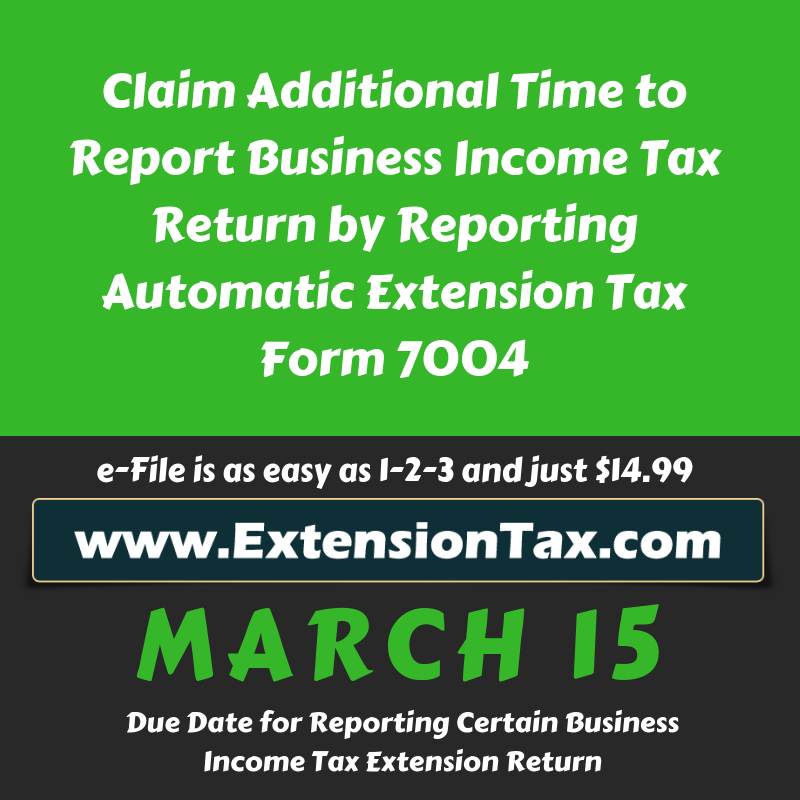 This entry was posted in Efile 7004, Extension Tax and tagged 6 month extension, automatic 5-month extension, automatic extension, extending time for filing the return, Extension Form 7004 on March 11, 2014 by TaxExpert.